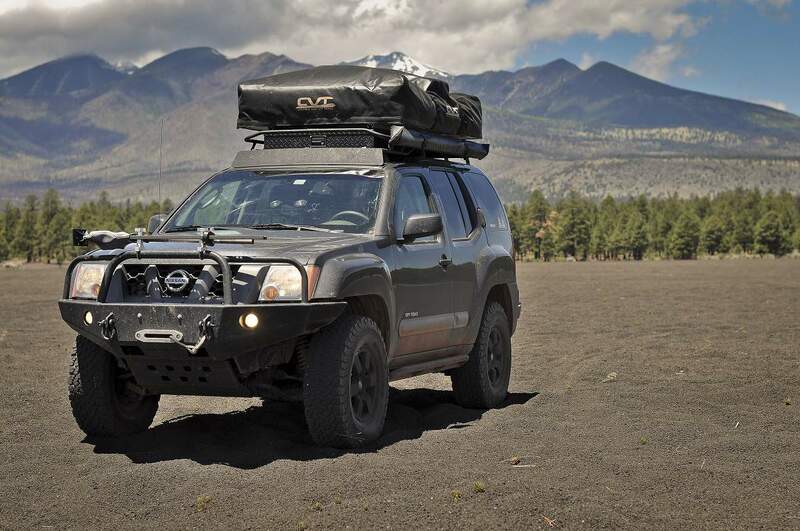 In stock form, the Nissan Xterra is a reasonably capable street car. 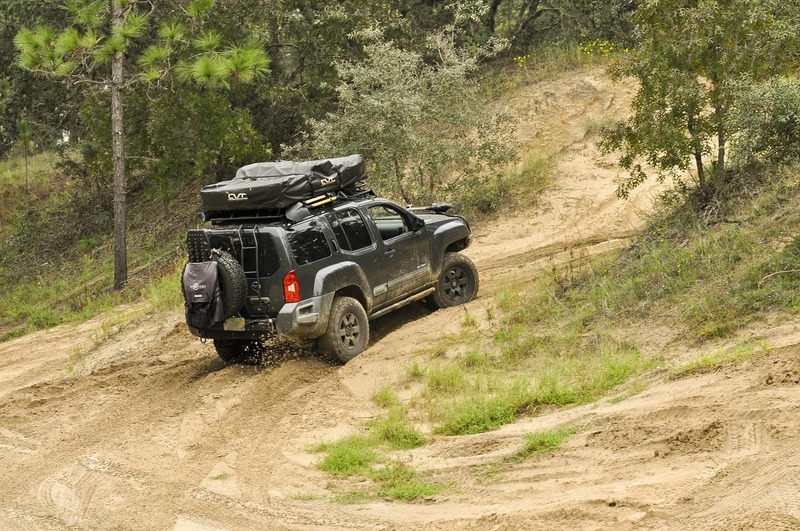 However, when it comes to backcountry travel, it does have some inherent challenges stacked against it. 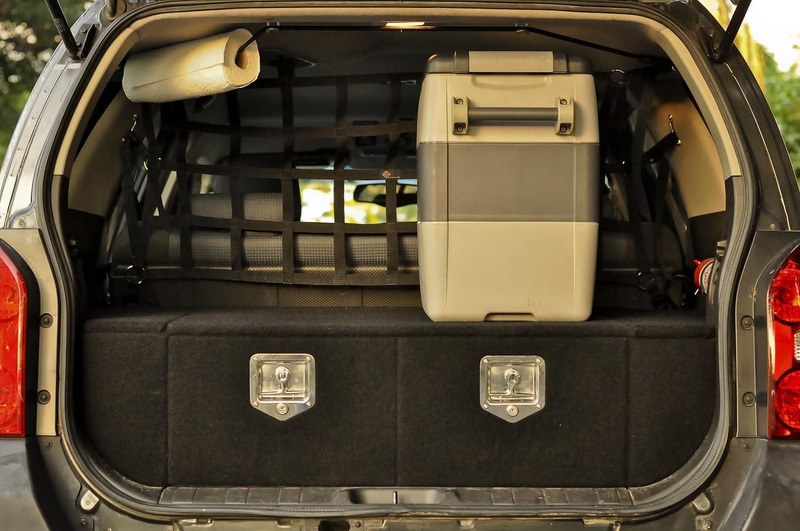 For example, the 1119 lb cargo capacity is actually 80 lbs less than the same model year Nissan Altima. Try carrying two friends in the backseat and the rear bumpstops become an obnoxious third passenger, bashing the rear axle like the type hammer on an old typewriter drum. 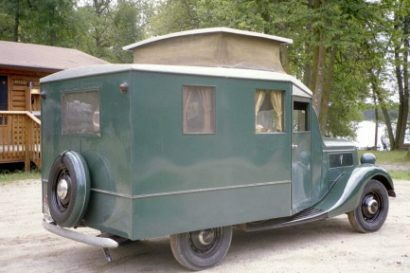 The exterior has some shortcomings as well. 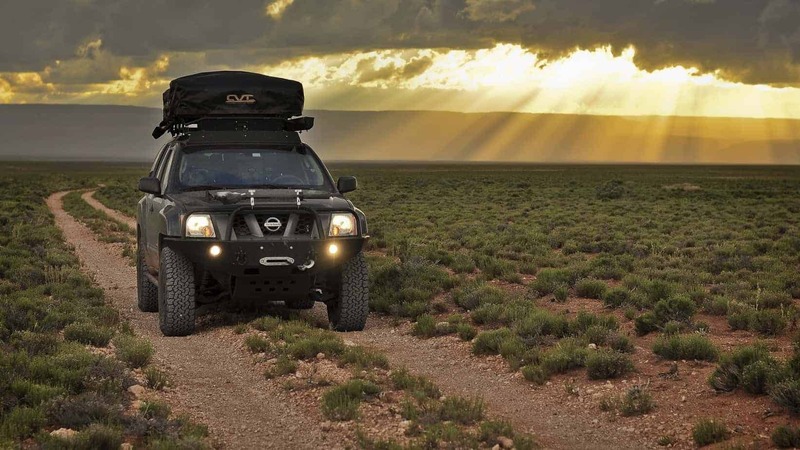 The front of the Xterra is clad with a huge, bulbous plastic cover that obscures an otherwise decent looking vehicle. Fortunately, the aftermarket was quick to realize these shortcomings and the true potential of the platform. 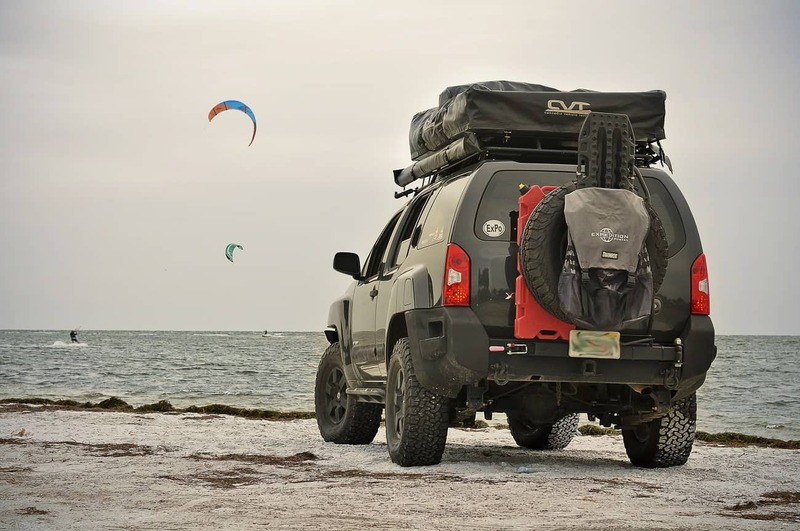 Joel addressed the ridiculously short uptravel and greatly improved the ride quality by fitting his rig with a set of ARB’s Old Man Emu leaf springs -with a spot more load support coming from the optional add-a-leaf. To keep the new rear springs in check a set of Bilstein 5100 extended travel shocks replaced the factory units (Nissan also uses Bilsteins in the later Pro-4X models). Of course, lifting only the rear of the vehicle would create handling imbalance and leave his rig looking like a classic drag car. 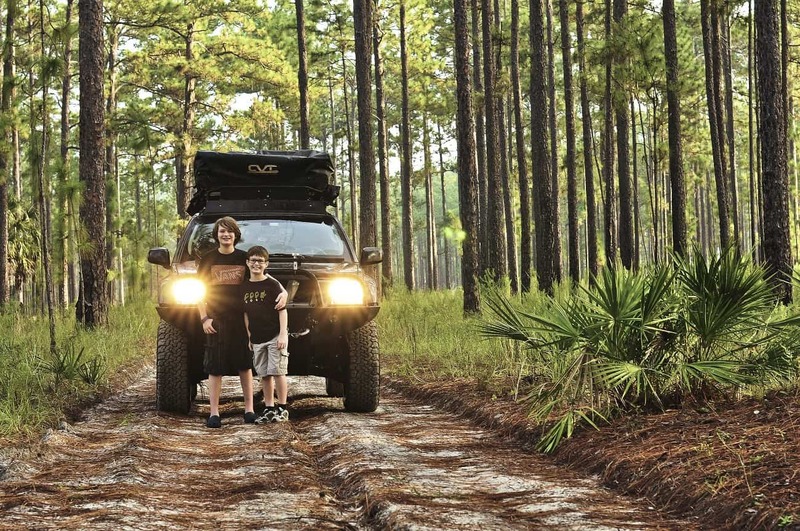 To address the front suspension, Joel turned to Nisstec for a set of 5100 Bilstein extended travel shocks paired with a set of 650 lb coil springs which provide the additional 3.5” of lift necessary to match the rear ride height. SPC upper control arms round out the suspension modifications. 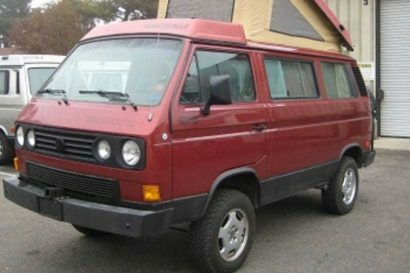 He has been running this setup for some time and is pleased to report that it continues to impress after many miles on and off pavement. A set of BFG KO2’s 285/75/16 help fill the extra room in the wheel wells, while providing a mucher higher level of performance and versatility than the factory rubber. To keep food stores at a safe temperature for his family, Joel turned to Indel B for one of their 12 volt fridges and proprietary fridge slides. 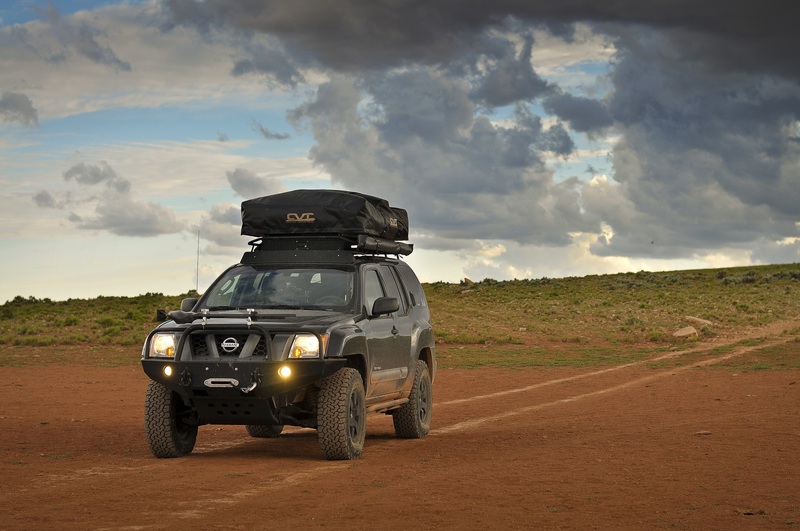 The Indel B slide is secured to a set of cargo drawers made by Smith Overland specifically for the late model Xterra, and a Raingler half net helps to secure things safely in the cargo area. In the cockpit, a Nexus 6 tablet secured to a Ram mount handles navigation duties. 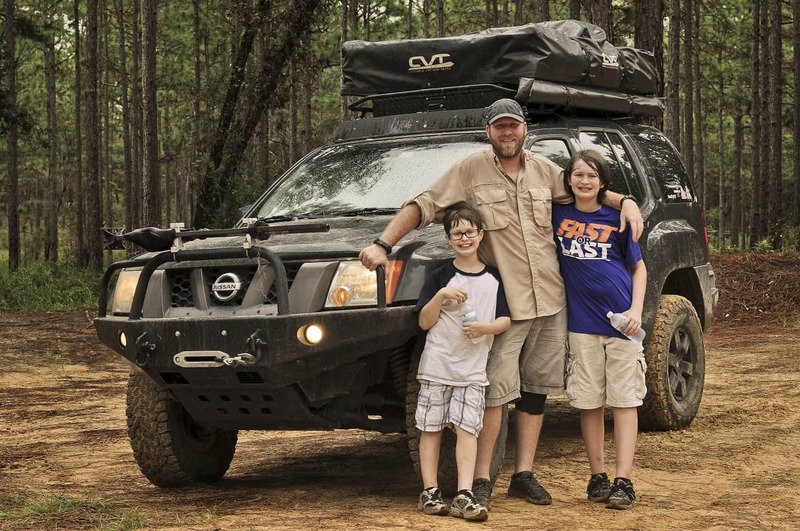 Overall, the interior is pretty well thought out and purposeful for how Joel and his family explore. The exterior is as well thought out as the interior. 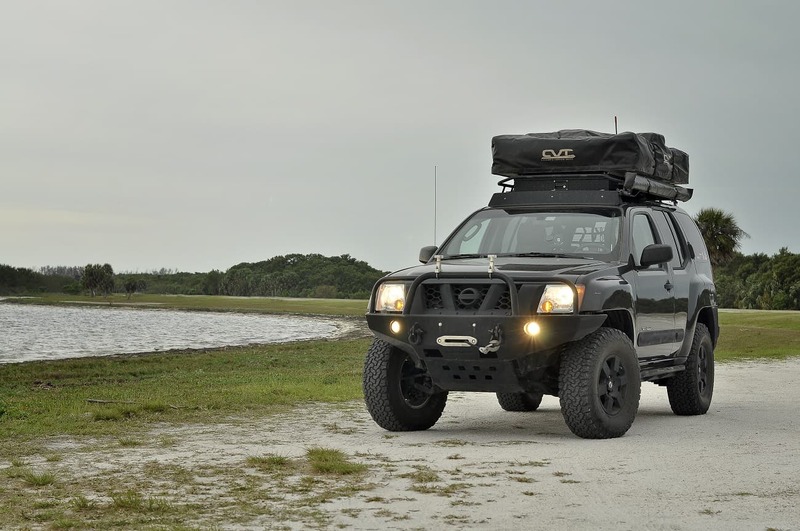 A bull bar is possibly the most important component you can purchase for your rig. An animal strike or a puncture from a stray tree branch is all it can take to leave you stranded in the middle of nowhere. A well engineered bumper can also be the difference between a scuff mark and a totalled vehicle. 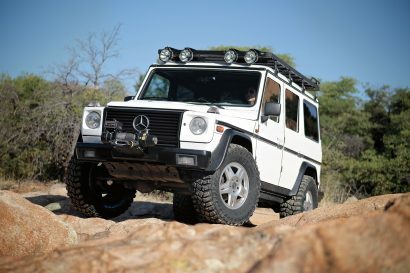 They also provide recovery points as well as winch mounts and light tabs. 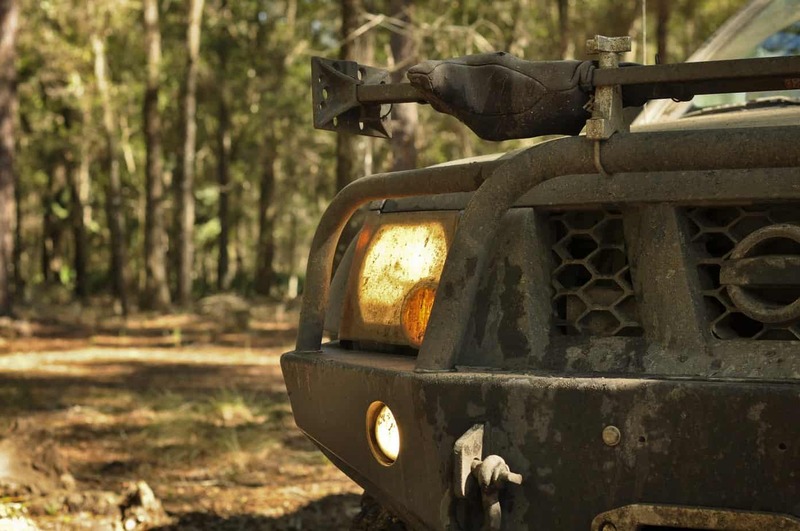 To protect his rig, Joel decided on a Shrockworks front bumper paired with a 12,000 lb Engo winch. 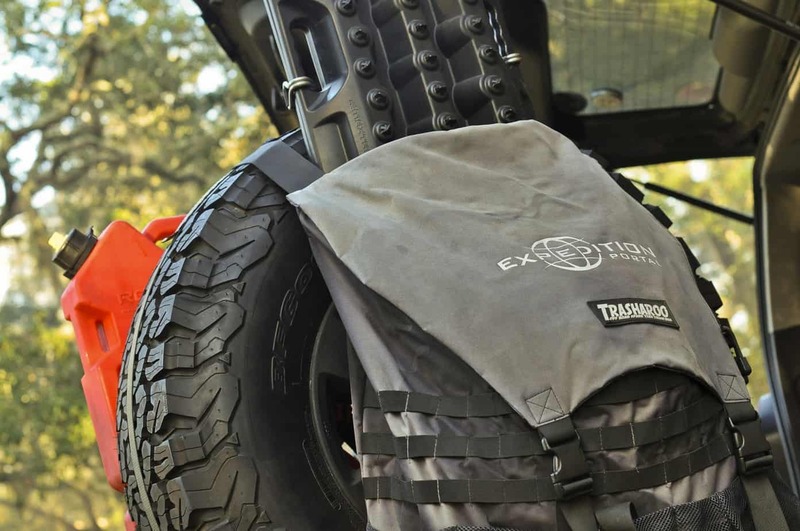 On the rear, he went with an InSain Fab bumper that not only makes his spare tire more accessible, but also provides a mounting point for a 4 gallon Rotopax fuel can for added range. 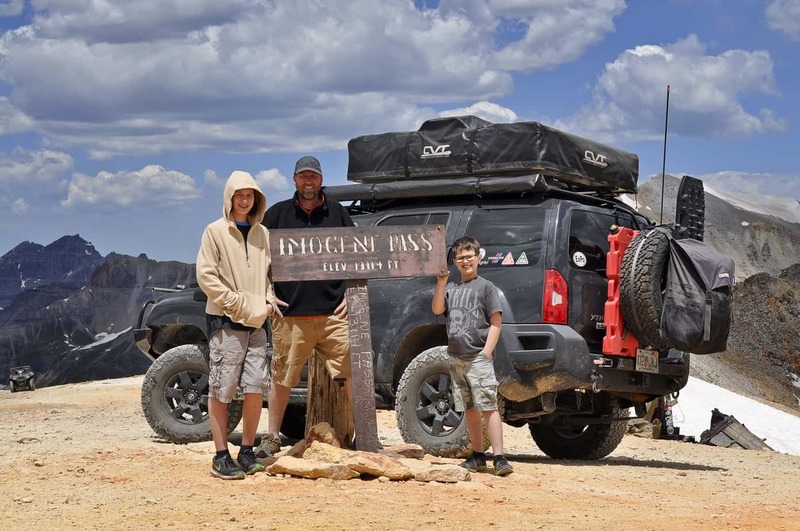 To create a platform for additional gear as well as a place to sleep, Joel ditched the factory roof rack for a Gobi Ranger which secures a shovel, an axe and his CVT Mt Rainier roof top tent with a 79” CVT awning mounted alongside. 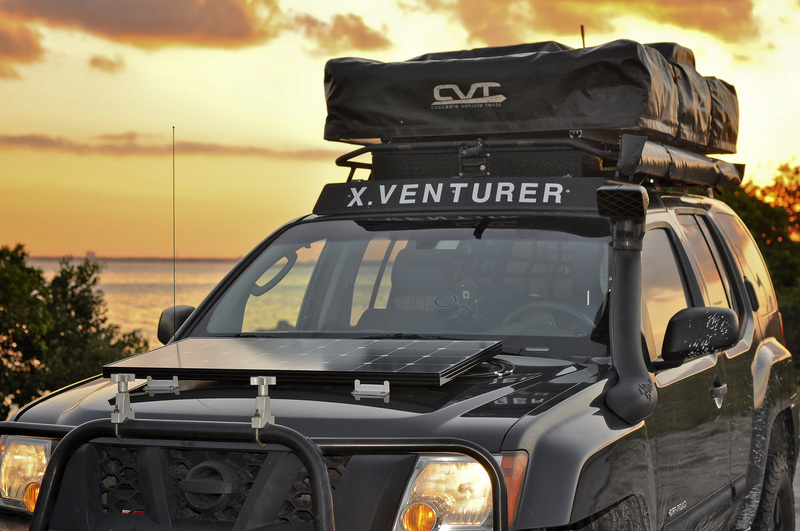 The most recent mod to the Xterra is a complete 100 watt solar kit by Renology. In a somewhat brave moment, Joel drilled into his factory hood to mount the solar panel. This may be a bit more than most are willing to do, but as I mentioned before, some mods are entirely subjective. 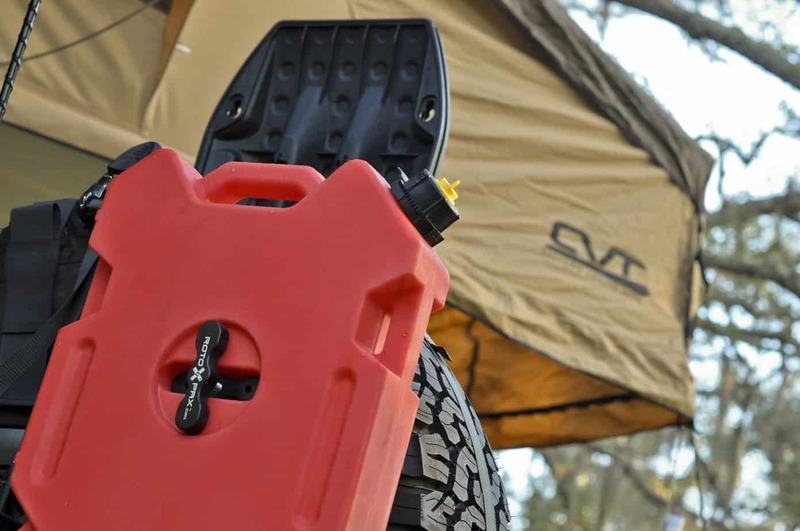 The additional 100 watts help keep his battery topped off while running the Indel B in the backcountry for several days at a time. All in all, we believe Joel has done a great job demonstrating some creative ways to travel in style and comfort. 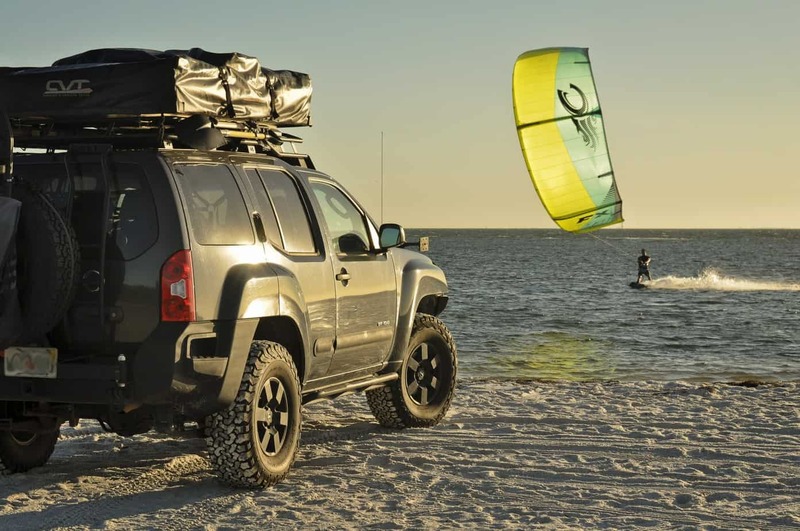 You can follow Joel’s adventures and learn more about his Xterra on his Instagram feed here. 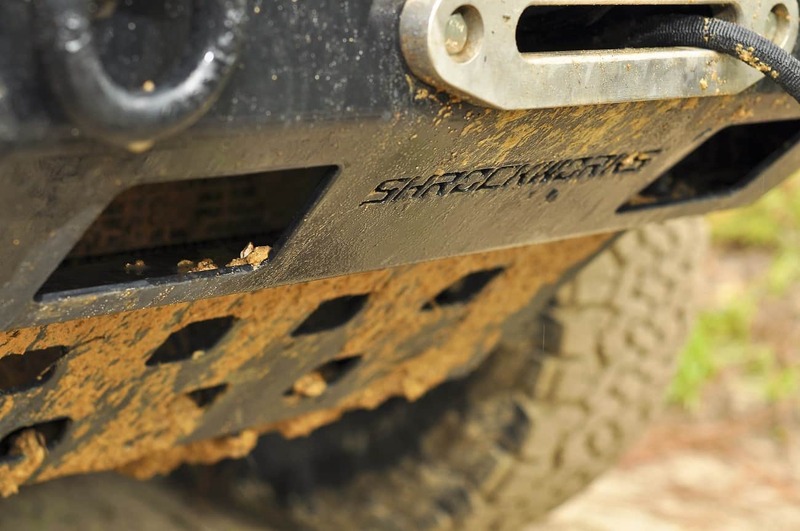 -Shrockworks front bumper, radiator skid plate and sliders.